Each week, as our congregation comes together for worship, we are united in our praise for God, and in our desire to walk more faithfully with Christ. In the reformed tradition we arrange our worship around gathering together, renewal through prayers, the reading of the Bible and a reflection on the readings of the day, and often Communion, or The Lord’s Supper as it is called in some churches, or the Eucharist in others. There are times for reading together and times of silence. Worship begins with God calling us together as the Body of Christ. We lift our voices together in songs of praise and glory to God. During worship, prayers for the congregation, friends and the world are offered up to God. We also have a special time for children called, “Time With Young Disciples.” One of the favorite times in our worship service is greeting one another with the Peace of Christ. The central part of worship is the reading and interpretation of scripture. As a response to the Word, we receive the gifts of the congregation and then are sent into the world to do the work of Christ. 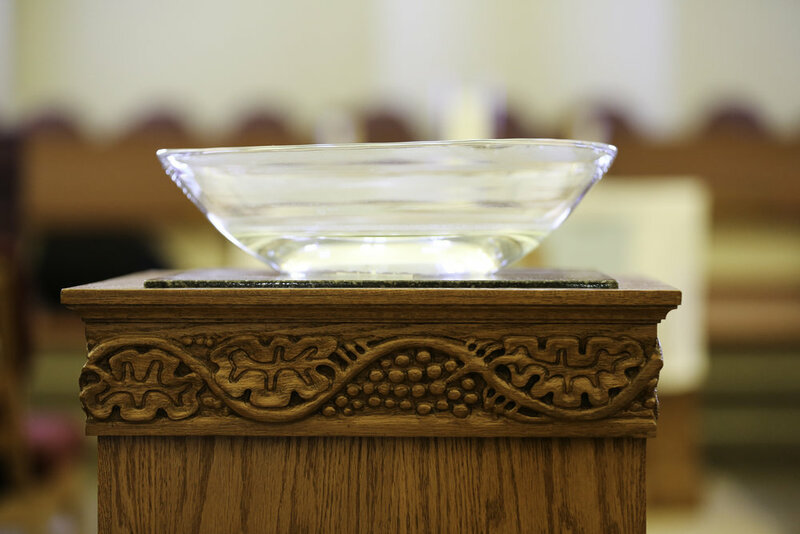 Throughout the year, Trinity has a number of different kinds of worship services. These include World Communion Sunday, Ash Wednesday, Maundy Thursday, Christmas Eve, and other planned services throughout the year. Often included are musical presentations, dramatic readings and other opportunities to worship with our members and the community. Members of the congregation are invited to assist in the service by being Ushers, Lay Readers, Acolytes or members of the Banner Team. Ushers extend the hospitality of Christ, welcome people to worship, help them to get situated in the Sanctuary, distribute bulletins, and collect offerings. Lay Readers are members of the church that help to lead in worship on Sunday morning by offering prayers and reading God’s word. Acolytes are children and youth from the congregation who participate in worship by lighting the Christ Candle at the beginning of worship, and at the end of worship they lead us out with the light of Christ. The Banner Team creates visual expressions of art that inspire, encourage worship, and elicit praise to God during the worship service.